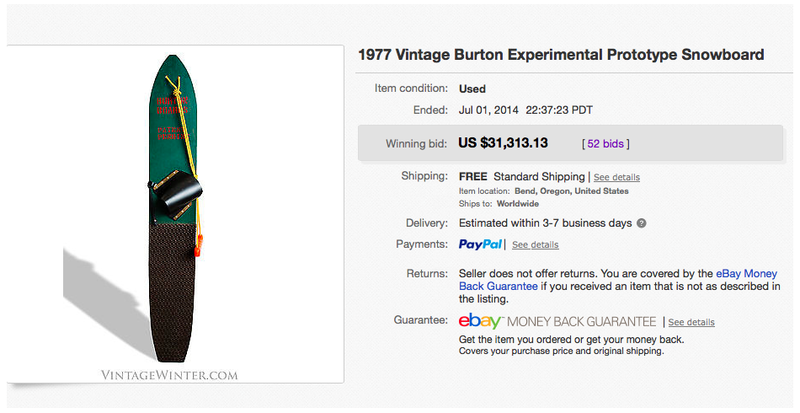 Snowboard Green: Vintage Burton Snowboard Sells For $31,313.13! Vintage Burton Snowboard Sells For $31,313.13! Really amazing post about Vintage Burton Snowboard Sells For $31,313.13! I think its no so costly as per its wonderful design. The design is amazing, and it is affordable.